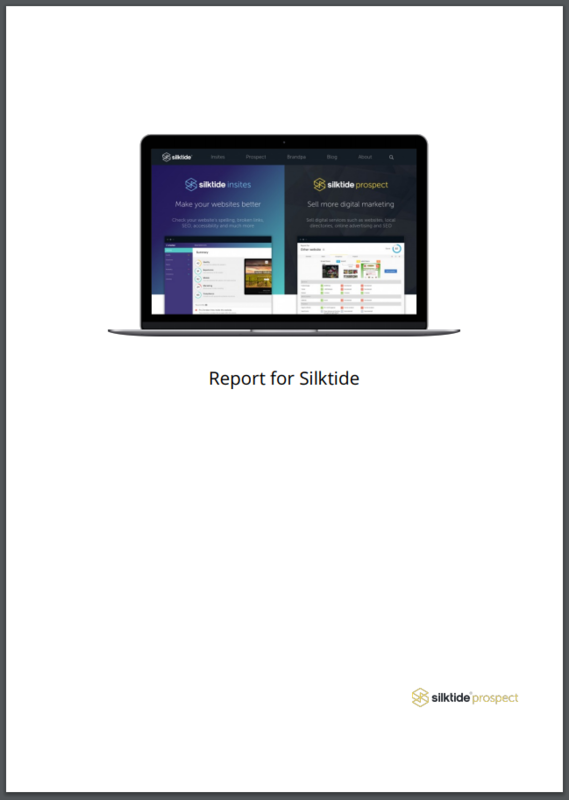 Silktide Prospect allows all users to upload their own logo, which will appear on any report when it is shared with a client. Whilst similar, this is not the same as being able to white-label Silktide Prospect, as this is a feature exclusively available to our Enterprise customers. Click save changes to apply the logo to your account. Please note that the logo cannot be larger than 2MB. Where will the logo appear?